Groups campaigning for the expansion of renewable energy sources rallied nearly a hundred supporters in front of NorthWestern Energy headquarters in Butte, Oct. 10, 2016. It would give NorthWestern, the state’s largest monopoly utility company, the ability to forgo some regulation by Montana’s elected Public Service Commission. They’d be allowed to pass on to customers the costs of purchasing of a bigger share of the Colstrip coal-fired power plant. Critics say that wouldn’t be fair to customers. But NorthWestern Vice President John Hines says, "This is the exact opposite of deregulation." He’s referring to comparisons between the new bill and the deregulation of Montana Power Company in the late 1990s. That forced companies to sell off their power so customers could shop for electricity on the open market. That deregulation resulted in a sharp rise in utility bills. "It’s 180 degrees different from what deregulation attempted to do. Deregulation, again, said the market is your friend. No one needs to have these assets to provide power; everyone would be enjoying the benefits of going out and buying from the market. Well, that fundamentally proven to be false. Deregulation sold off all the generation. What we’re doing is putting generation into the utility that serves our customers only." Hines says the so-called Montana Energy Security Act is not deregulation because the bill creates a situation where NorthWestern could buy more power. "If a usually regulated utility gets to buy something, but without regulatory oversight, I’d guess I’d call that deregulation," Kavulla says. "The bill very plainly allows NorthWestern to charge consumers $75 million plus an unspecified amount of decommissioning and remediation costs. I’ve never seen in my experience any piece of legislation like this anywhere in the United States, which allows a monopoly from which consumers don’t have a choice in service, to essentially set rates for them that they have to pay." The bill would allow NorthWestern to buy 150 megawatts of power generating ability at Colstrip without PSC oversight. It would increase its 30 percent share at one of the Colstrip units to 50 percent, for the outlined purchase price of $1. The legislation also allows $75 million in potential costs to be passed onto customers, without regulatory oversight for a decade. "Since NorthWestern isn’t investing anything, there's really nothing to get a return on. But there obviously would still be these same risks. So we’re trying to balance the risks for NorthWestern shareholders and customers. On the other side of the ledger, people question whether we really need this power. I would argue that it is essential for the reliable operation of our system, and being able to keep the lights on during critical time periods." "They’ve never explained their answer anywhere; to Montana’s legislative committees, to members of the press or the public. And it's a little disturbing that we are still dealing with a piece of legislation, the need for which is really unclear." NorthWestern is also arguing that this bill would help them secure a source of reliable, on-demand power — power that can be turned on during the coldest times to make sure the lights are on and heaters stay running. Hines says some of NorthWestern’s power generation coming from wind and solar energy aren’t as reliable as coal. "They buy power all the time from the open market that doesn't earn them a return, and we nevertheless expect them to buy that power to keep the lights on and to keep bills low. So, honestly, nothing about this really adds up to me." The lawmakers sponsoring Senate Bill 331 say that it will help save Cosltrip, keeping people in the town working in the high-paying jobs at the coal-fired power plant and the mine that feeds it. 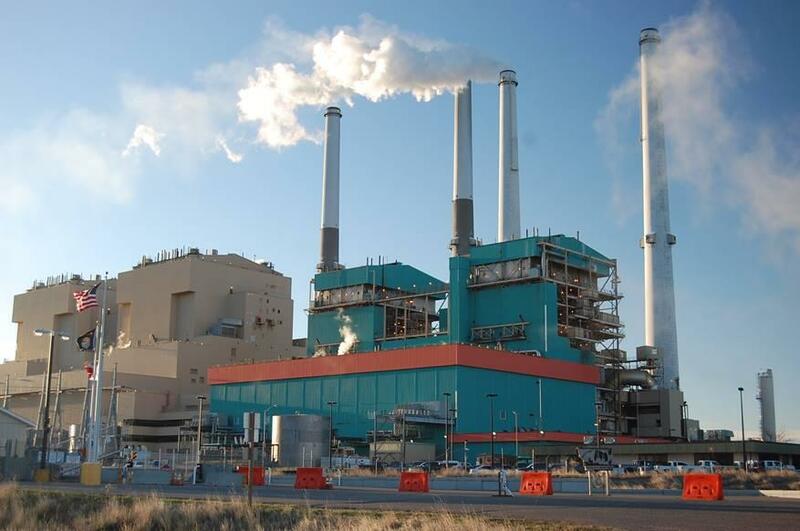 Colstrip’s two older units are scheduled to go offline no later than 2022 as the result of a federal lawsuit settlement over the Clean Air Act. It's unclear what the future will look like for the remaining two power generating units. The West Coast utilities that own much of the two newer units may pull out as their consumers and state laws demand less power from fossil fuels due to climate change concerns. It's the possible sale by one of those companies that could open the door for NorthWestern to increase its share of the power plant. John Hines told me he wouldn't talk about any potential deal that might be in place for the company to buy more of Colstrip. But he says if NorthWestern does buy more of Colstrip it could help continue the lifespan of the plant. "It certainly would help. Again, we’re a very small minority owner right now in Colstrip. Absent us getting a greater share of Colstrip Unit 4, we won’t have a voice in how Colstrip — or a very strong voice, I should say — in how Colstrip is going to be operated in the future." "As to the idea that Colstrip might be saved by this transaction, I disagree with the premise. "I think it's as likely as not that this move hastens of closure of Colstrip. So, I think we’re actually introducing quite a bit of risk into this. But it all comes back to the bottom line, that NorthWestern is a business and it should be expected to act like a business. You shouldn't need to play this mother-may-I game with the Montana Legislature when Montana law already gives NorthWestern every authority and permission it would need to exercise this option that they've negotiated behind closed doors." Without the passage of the so-called Montana Security Act of 2019, NorthWestern Energy says it could be very difficult for the company to increase its power production at Colstrip. The bill passed out of the Senate on a 27-22 vote. The bill has yet to have its first hearing in the House.